Improve your for()-loops. A common mistake explained. For()-loops can be very handy, but they are often used the wrong way. https://www.shoppdeveloper.com/wp-content/uploads/2012/06/php.jpg 400 400 Support https://www.shoppdeveloper.com/wp-content/uploads/2017/02/logo-shopp-developer-300x74.jpg Support2017-03-05 07:45:042017-03-05 07:51:13Improve your for()-loops. A common mistake explained. and more than once you will find these years are incorrect. 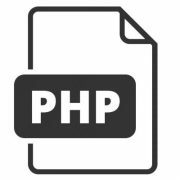 With just a few lines of code in your footer.php file, you can keep the copyrights up to date automatically. PHP Warning: Function ereg_replace() is deprecated. Now what?